- Accuracy: ± 1 °C (-50 to 99.9 °C) ± 1 % rest of the range. 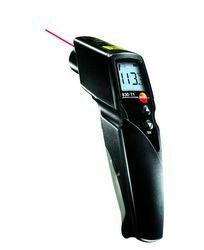 Product DescriptionThe testo 830-T1 infrared temperature gun with laser measurement spot marker and 10:1 optics is suitable for non-contact surface temperature measurements in trade and industry. 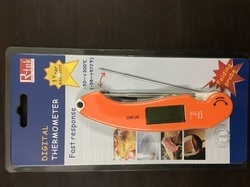 The handy clamp thermometer testo 115i, in combination with a smartphone or tablet, is suitable for service and error detection on air conditioning and refrigeration systems and for their installation as well. The testo 830 is a fast, universally applicable infrared thermometer for non-contact measurement of surface temperatures.